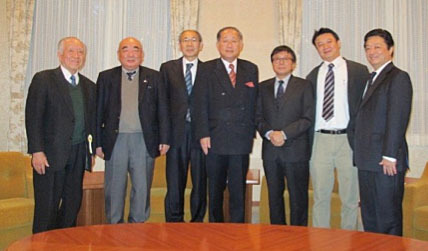 Richard Lin, Secretary General of Chinese Taipei Baseball Association and Chris Day, CTBA International Division, met Eiji Hatta, Baseball Federation of Japan, Hideitsu Ohashi, All-Japan University Baseball Federation, Takayasu Okushima, Japan High School Baseball Federation in Tokyo on November 15 to further strengthen their ties and exchange ideas to promote international baseball of college and high school. The two representative of CTBA are the guests of Meiji Jingu (Shrine) Baseball Organizing Committee who hosts the 44th Meiji Jingu National Championships in association with Japan Student Baseball Association. Day 3 November 18 Osaka Univ of Commerce – Winner of Kinki Univ Faculty of Engineering and Jobu, Winner of Kansei Gakuin Univ and Chubu Gakuin Univ. – Toin Yokohama Univ. Day 3 November 18 Nihon Bunri High School – Winner of Heian and Mie, Winner of Kanto Daiichi and Okinawa Shogaku – Tomakomai High School affiliated with Komazawa Univ.